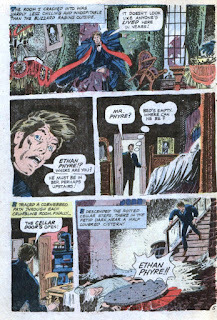 Defeated sigh. 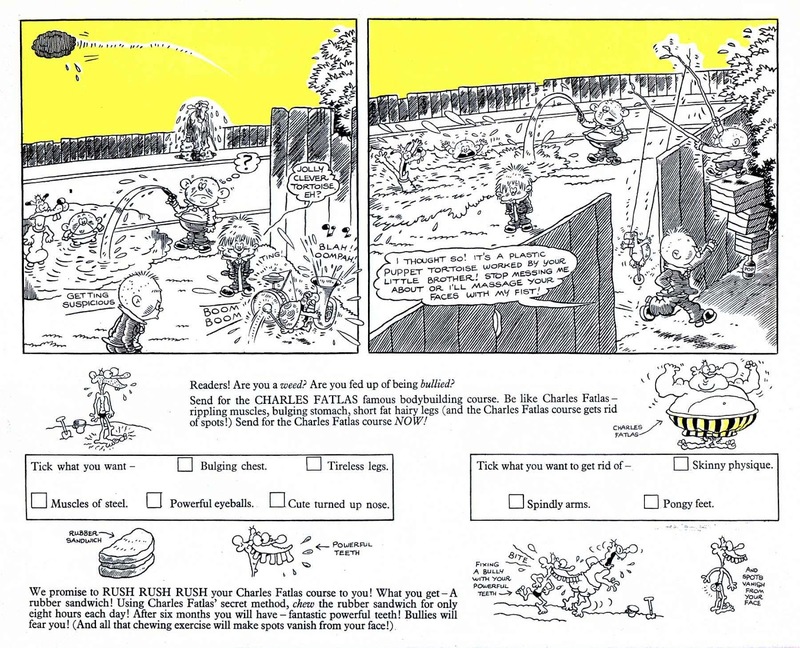 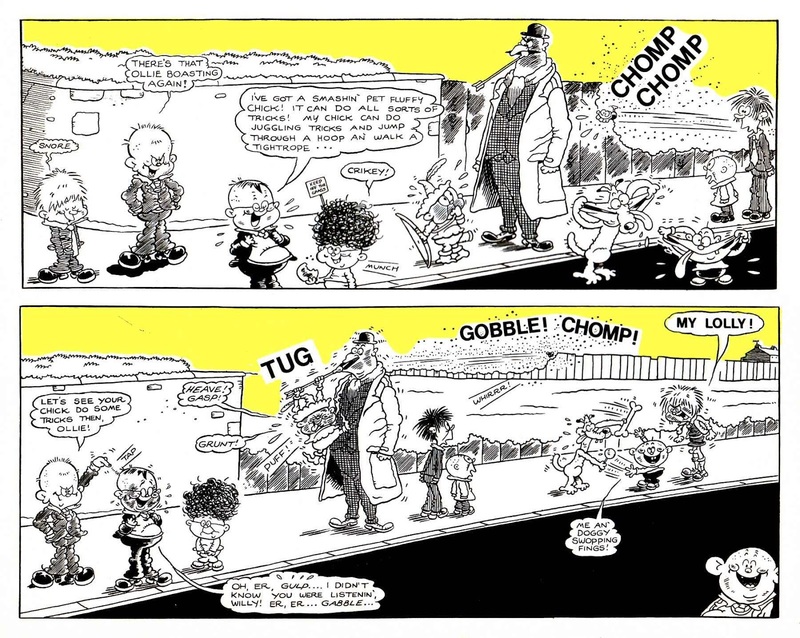 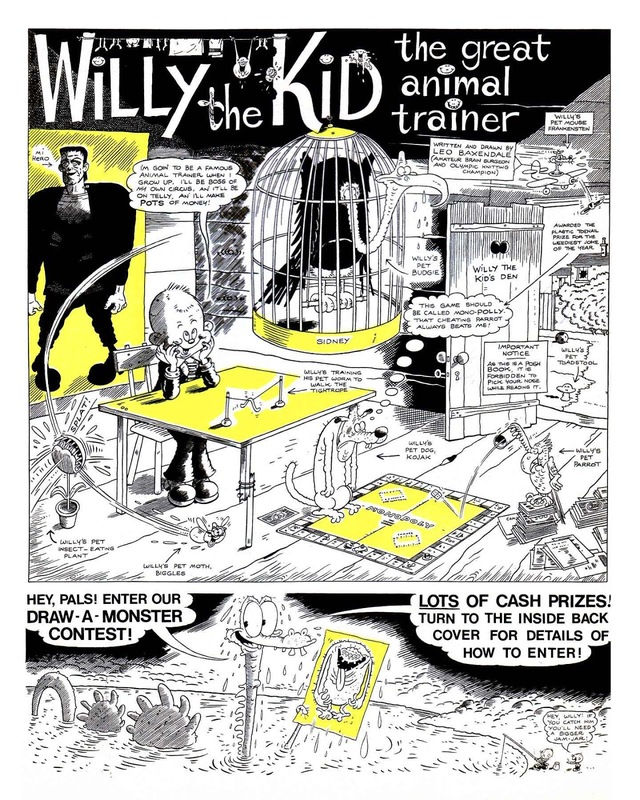 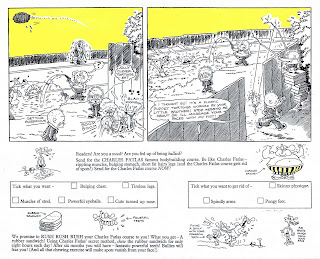 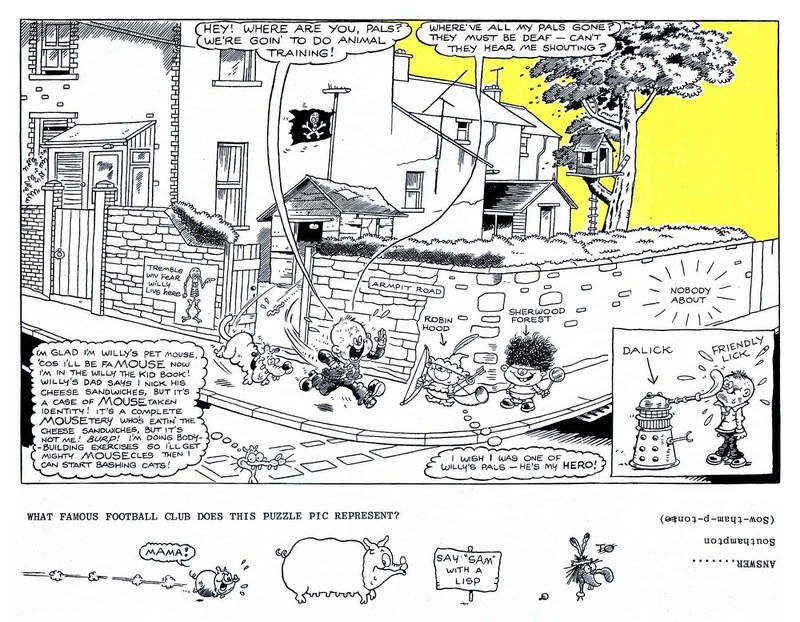 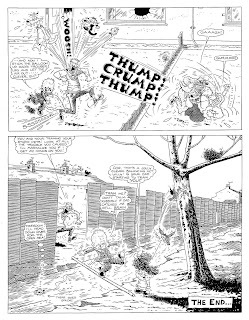 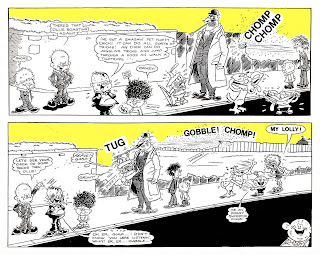 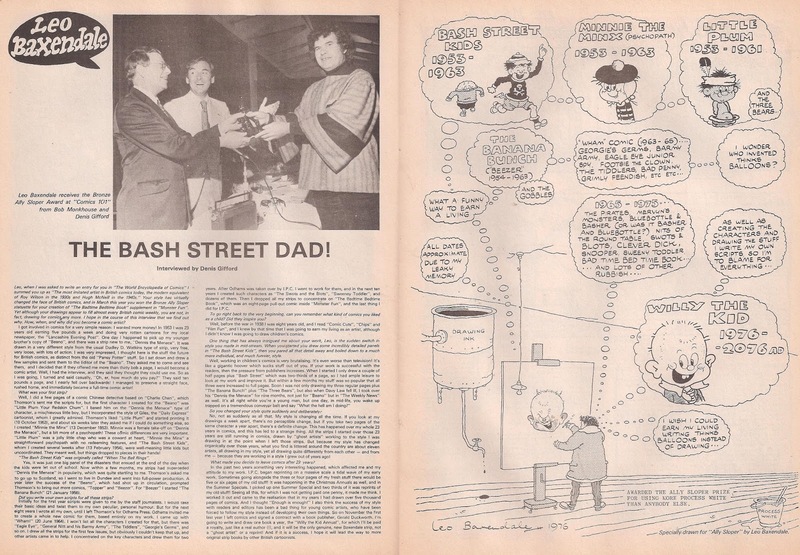 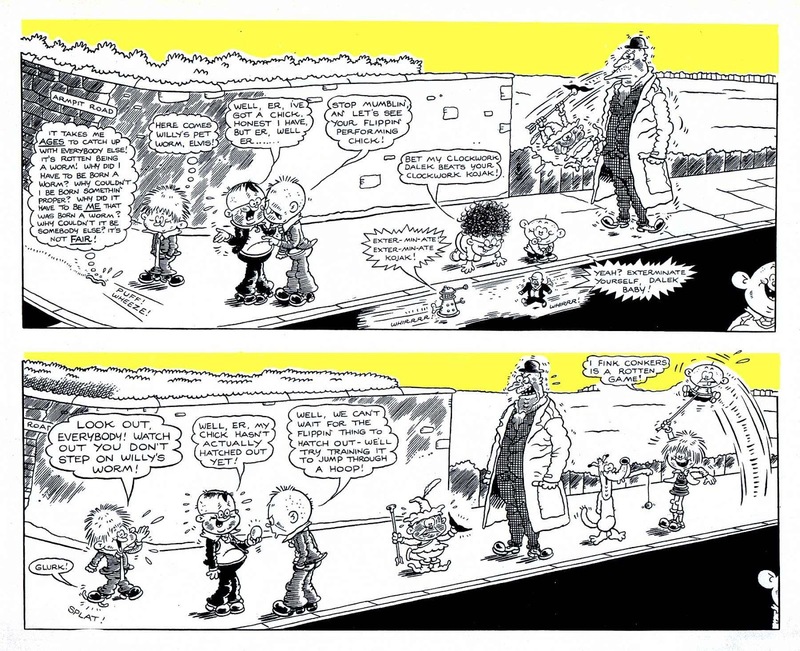 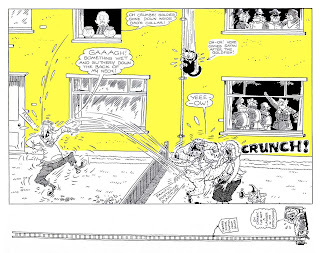 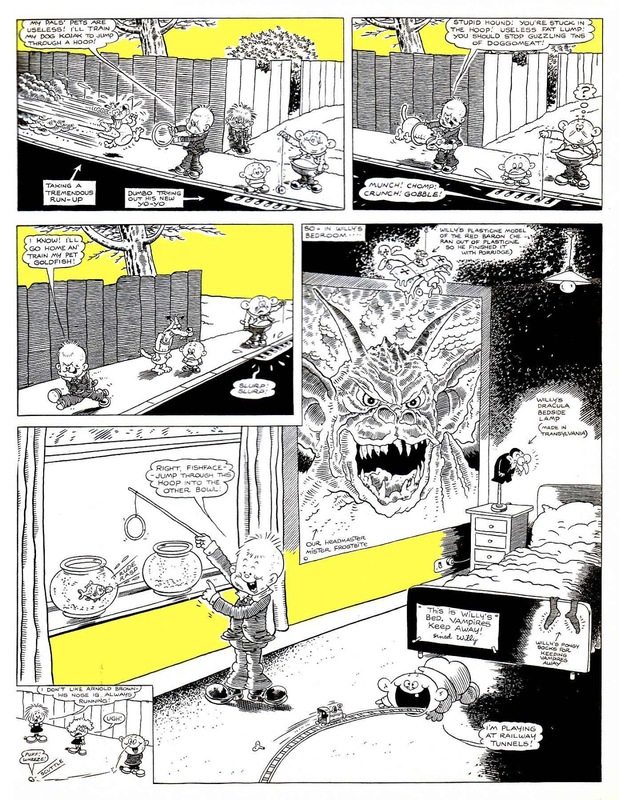 Well, we also lost Leo Baxendale this week, one of those artists so legendary you don't even need to put legendary in front of his name. 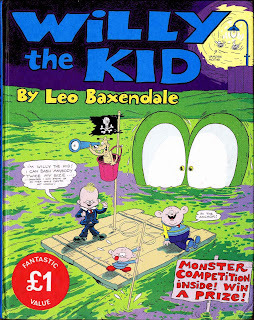 Thinking about it, Baxendale was probably our first favourite artist we were fans of, when we were too young to even know that real people drew comics, or that were such things as fans. 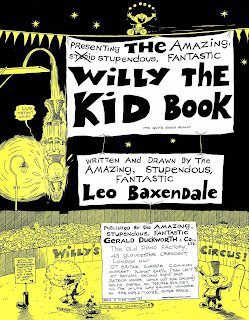 With Leo's passing, this right here is the official end of your childhood. 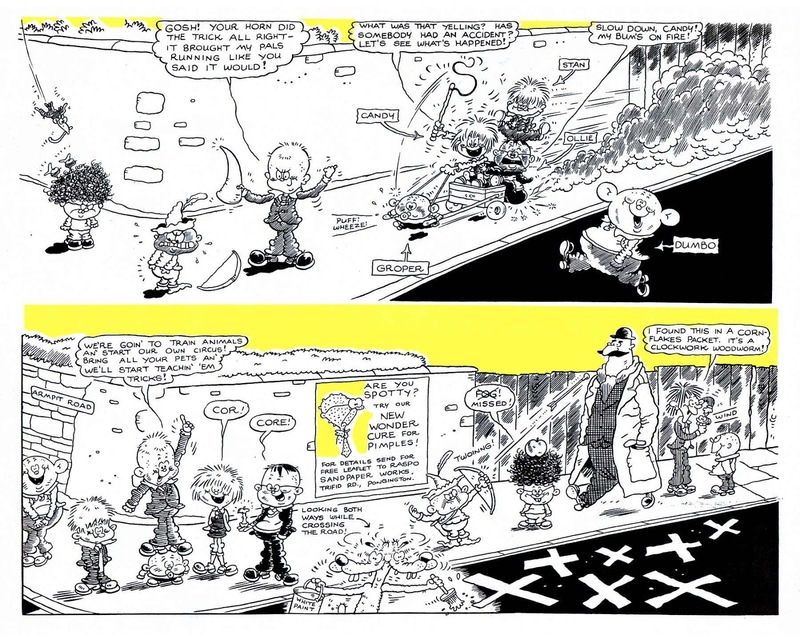 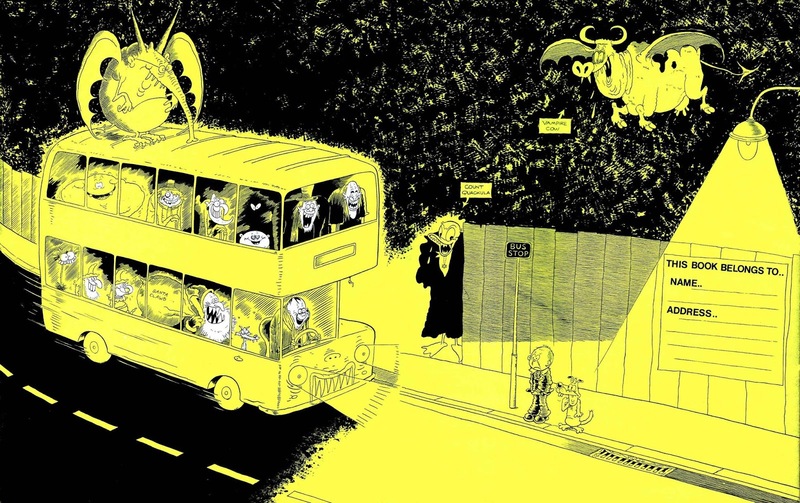 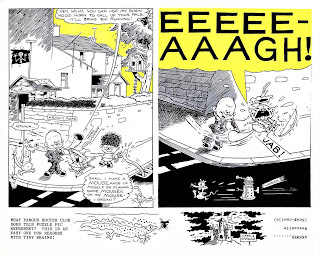 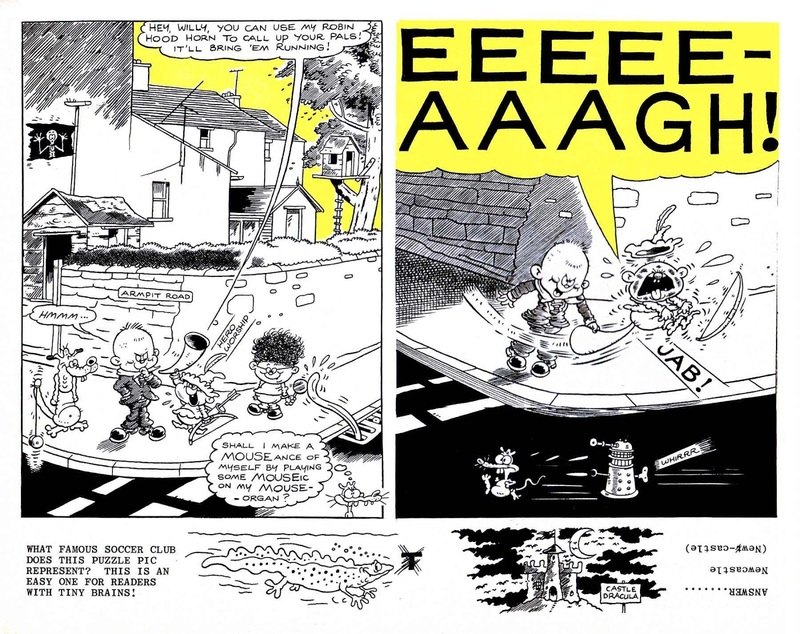 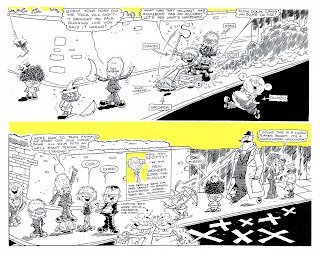 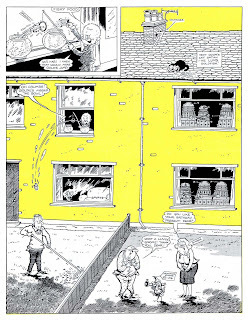 And here's just a sprinkling from Baxendale's magnum opus, every panel crammed with more gags than should be humanly possible, and with at least three plotlines going on at the same time. 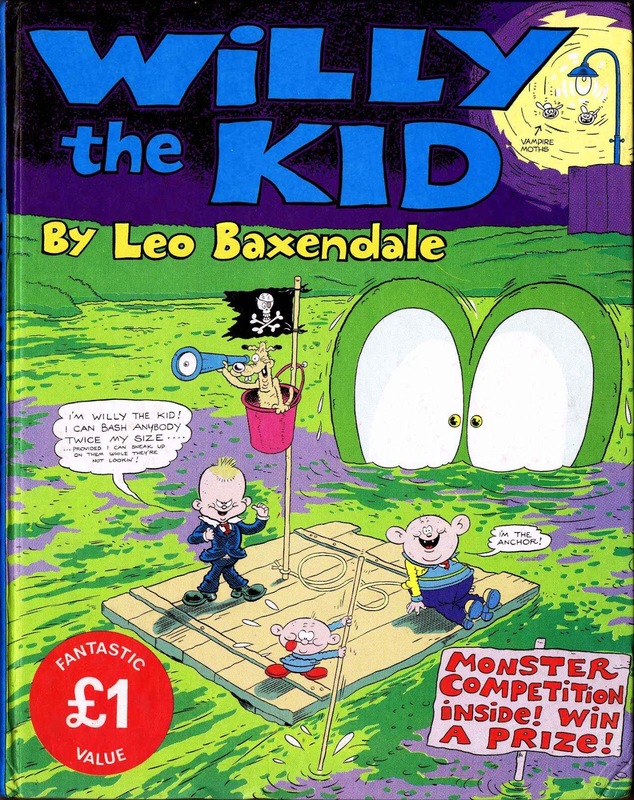 When we were kids, me and my pals did our own comics, starring ourselves in wacky adventures, replete with sight gags and bad puns. 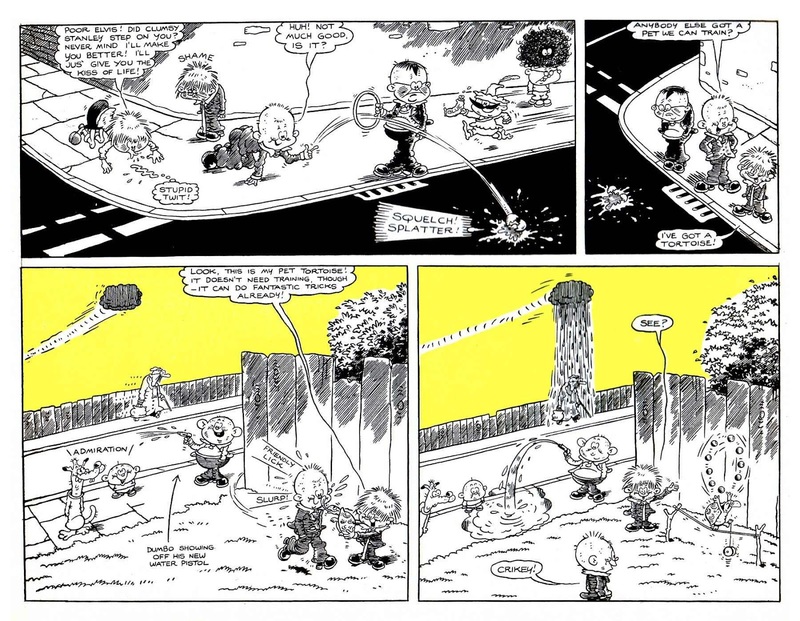 We thought we were ripping off Mad. 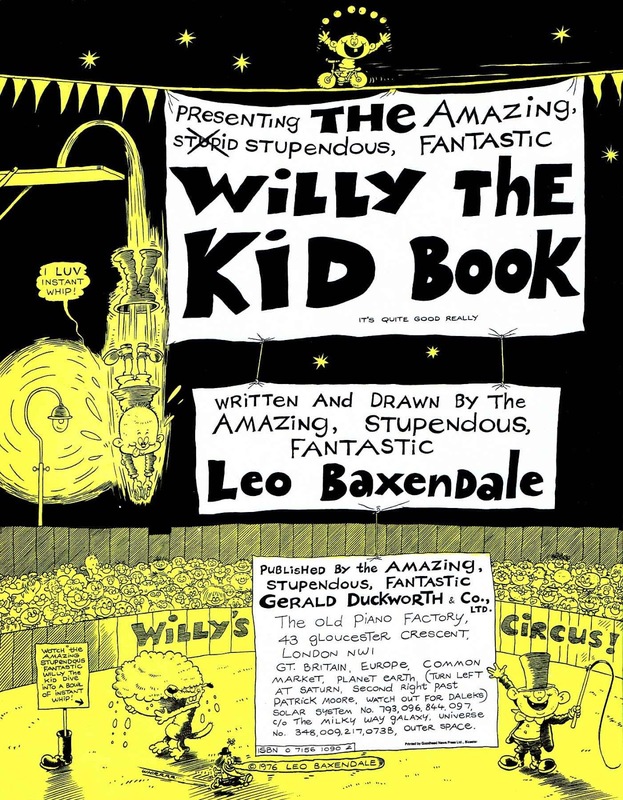 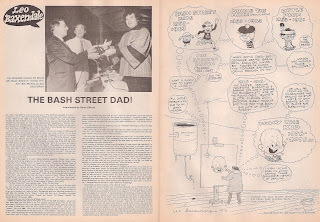 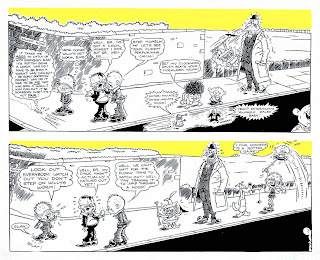 Looking at Willy The Kid today, it's blindingly obvious that we were actually, through osmosis and without even realizing it, Baxendale's Boys. 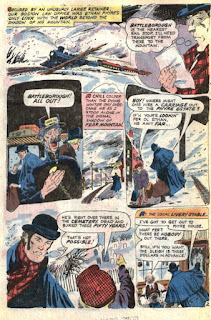 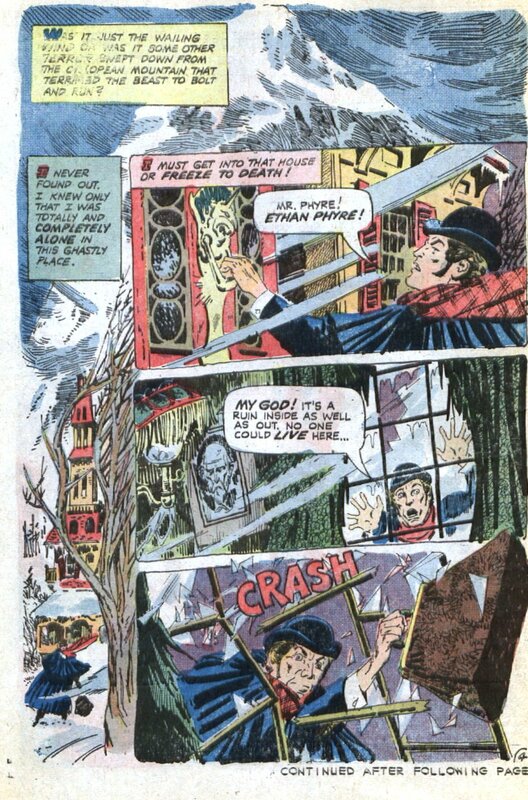 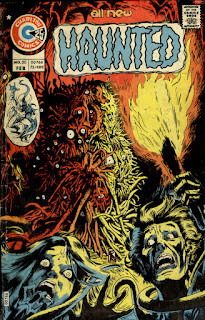 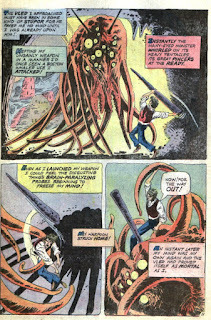 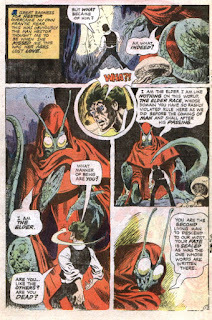 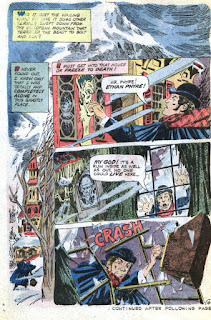 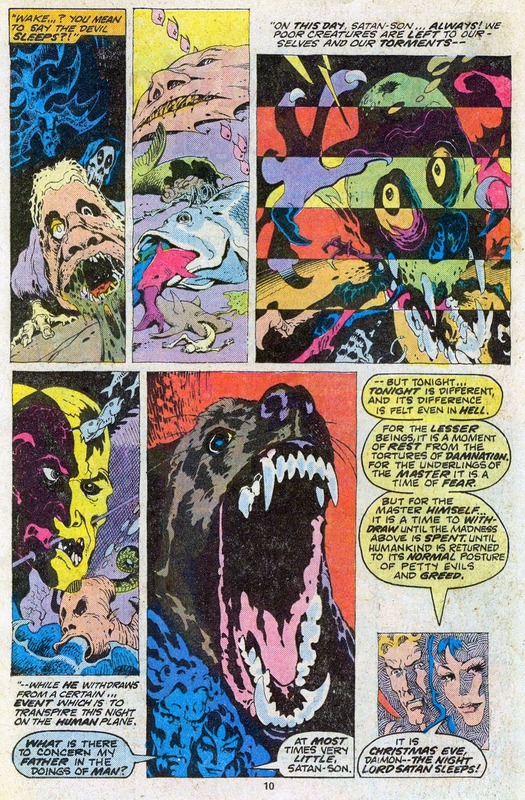 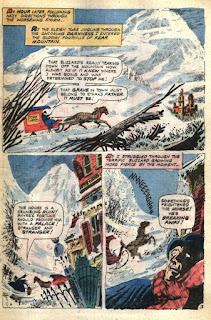 You have to give Charlton credit, when an artist wanted a full issue to go mad with, they always got it. 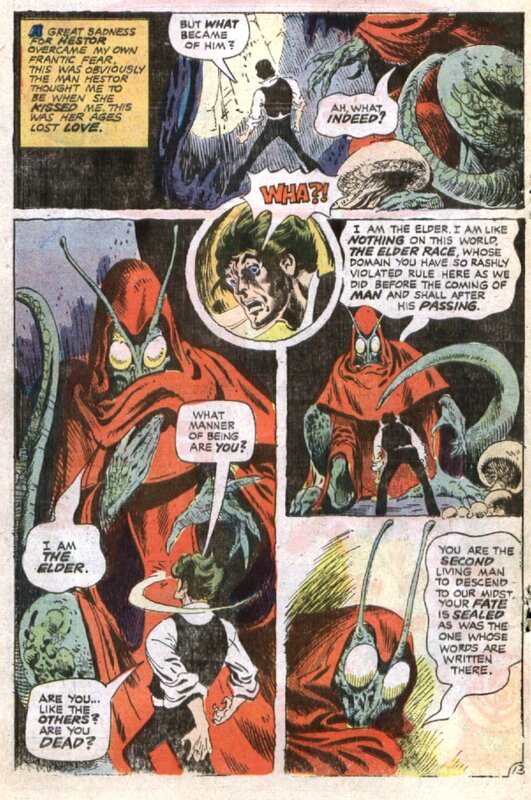 'Course, if Tom Sutton said he wanted to paint the bowling alley next to the Charlton offices you'd let him, him being a creature from another dimension and all. 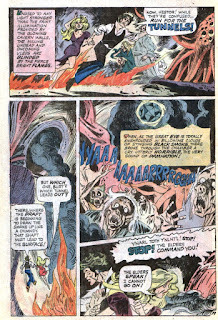 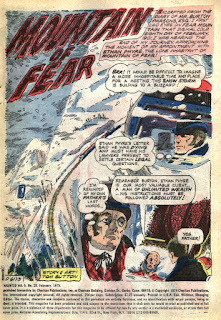 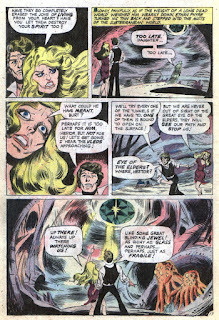 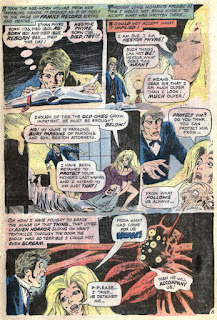 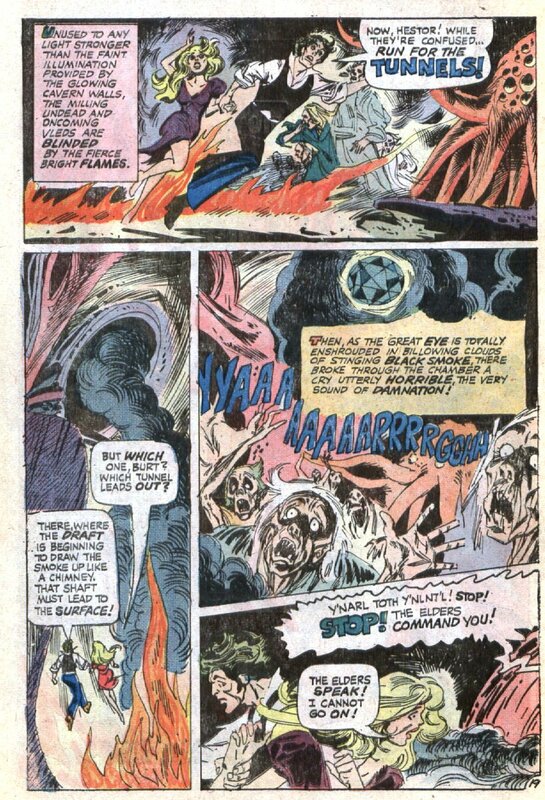 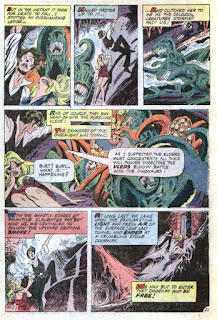 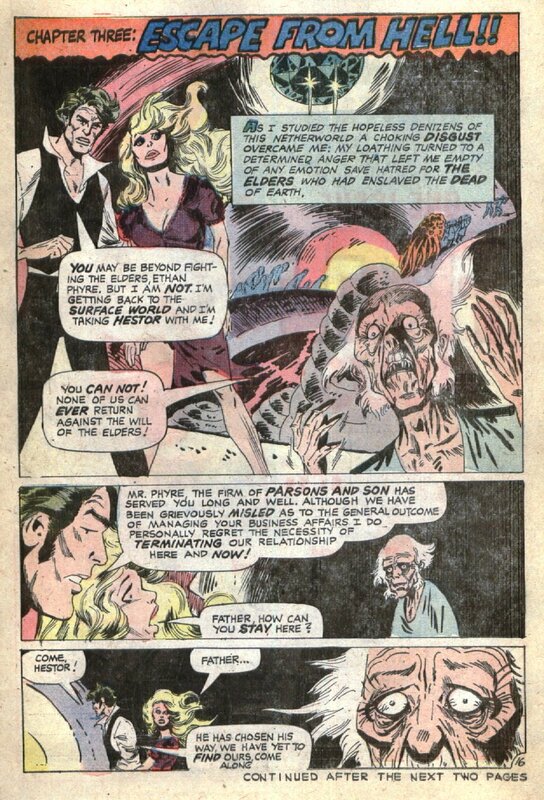 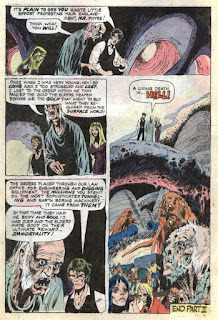 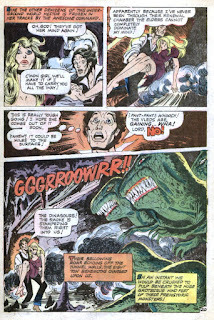 Mountain Of Fear is Tom doing Lovecraft, by way of Hammer, with special effects by Rob Bottin, which means it's about as great as a horror comic can be. 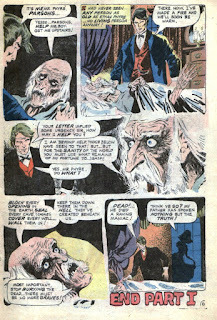 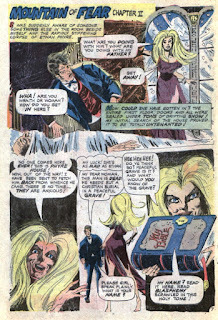 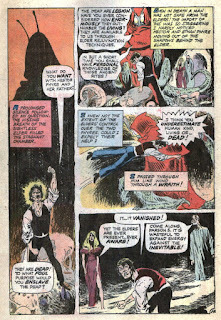 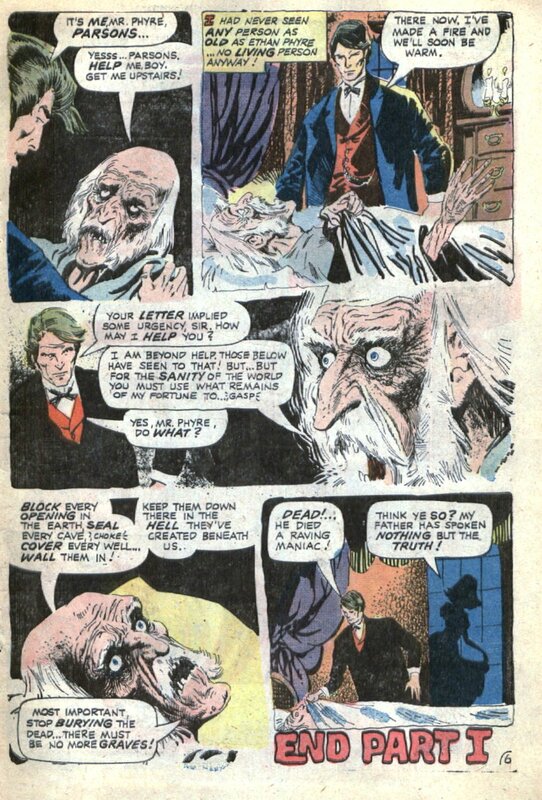 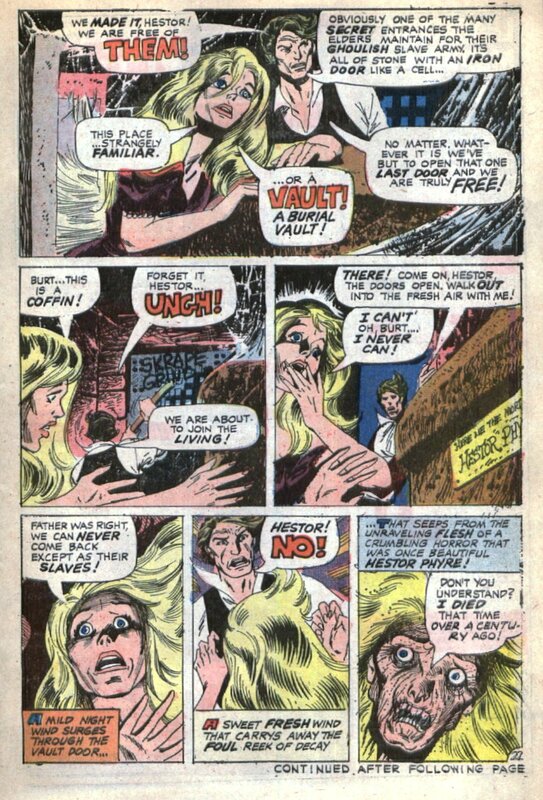 Even Charlton's patented crappy printing works for the story, like some lost manuscript carved out of human skin and written in blood. 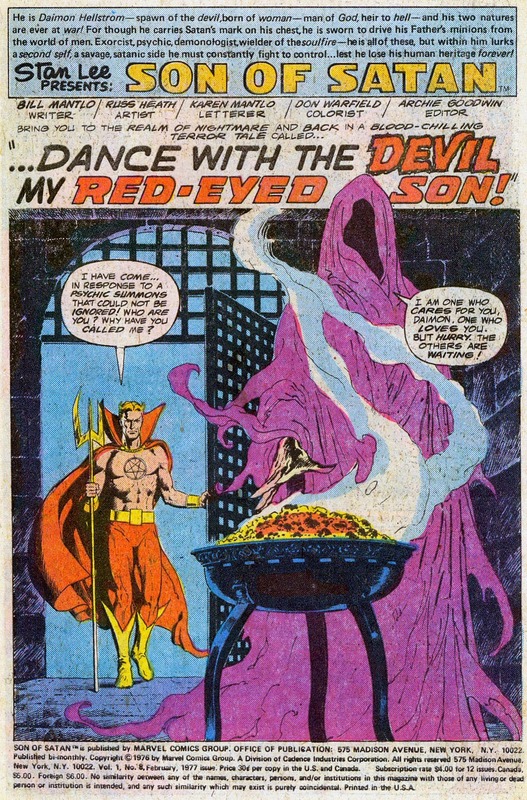 The Son Of Satan: Dance With The Devil, My Red-Eyed Son! 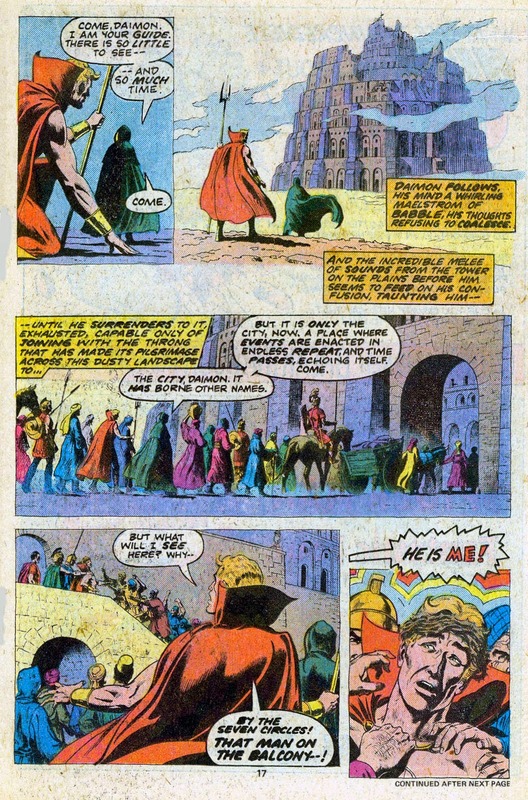 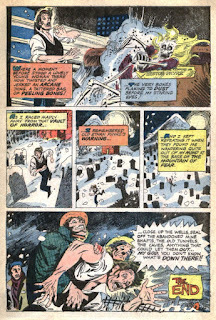 Here's a lost masterpiece, one of the sadly few times the mighty Russ Heath worked for Marvel in the Bronze Age. 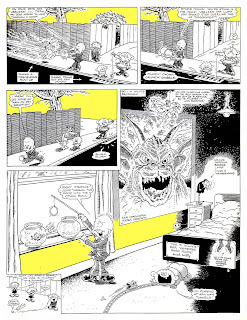 Here, Russ is obviously, and spectacularly, channeling Hieronymus Bosch, the 14th century religious painter whose terrifying visions of Hell are still, hundreds of years later, the template for all ideas of the inferno. 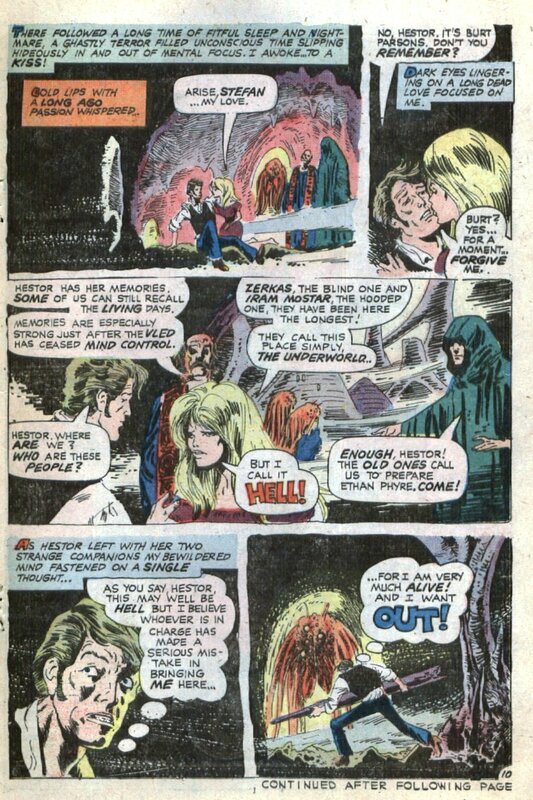 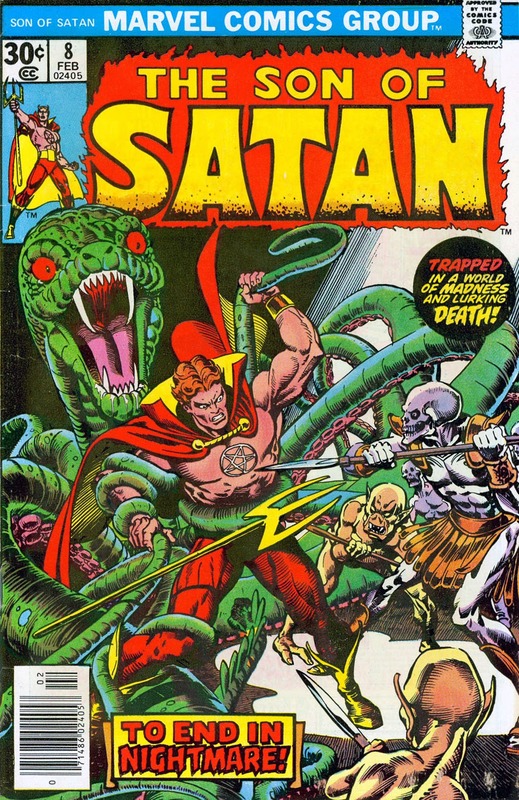 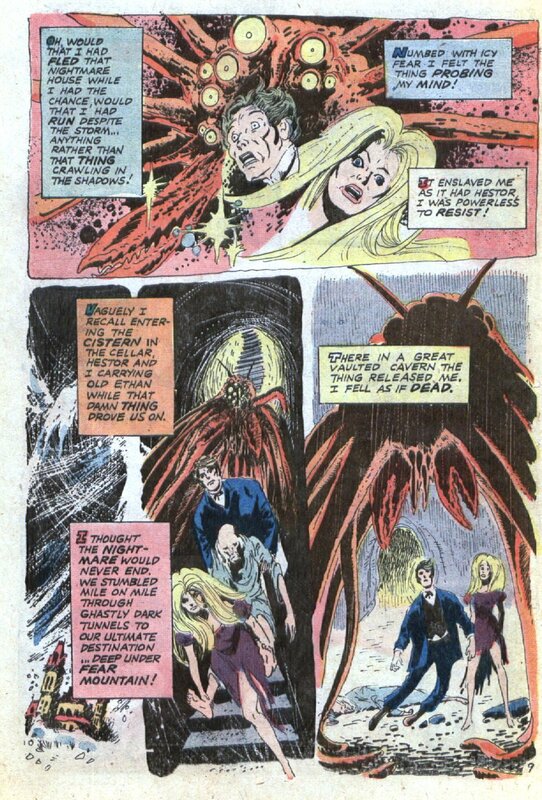 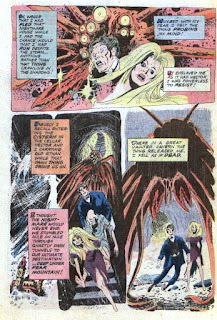 Which means that this is the best version of Hell in comics ever done by anyone. 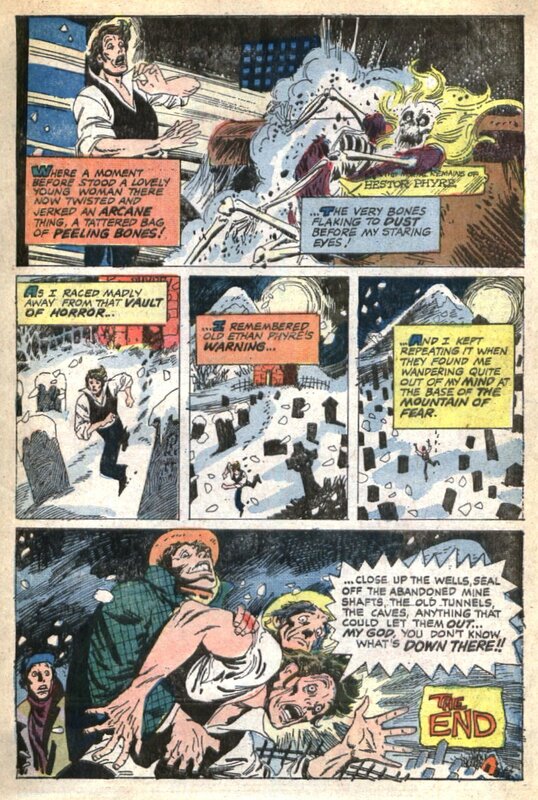 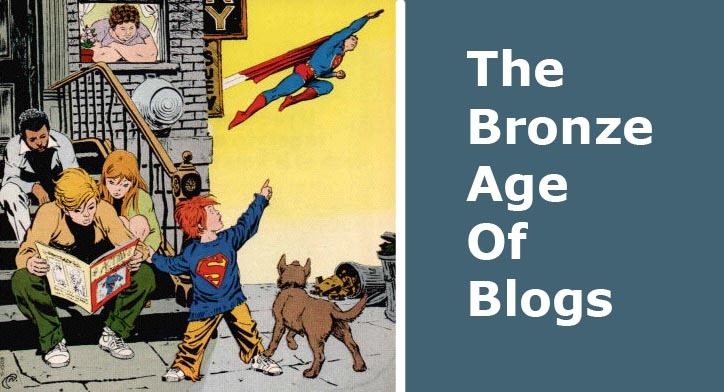 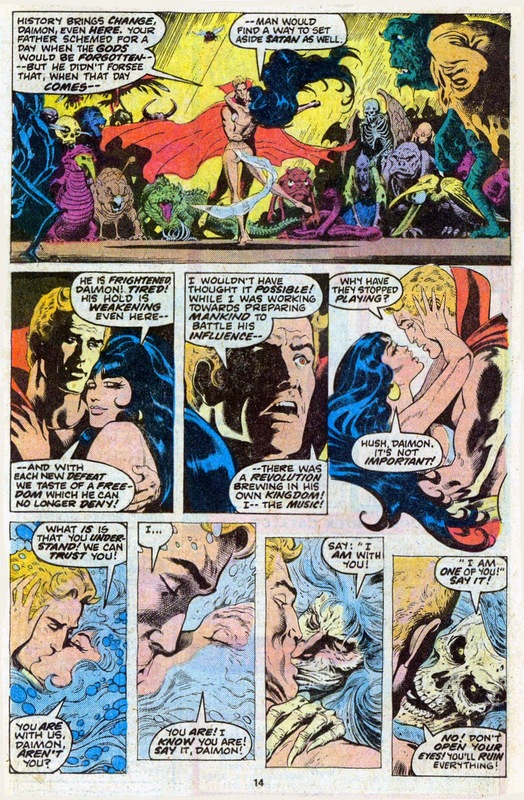 We take a short break here, to show off what would've been the next page, but that was rejected by the Comics Code, and that I'm astounded anybody, from Bill, Russ and Archie upwards, ever thought they'd get away with. 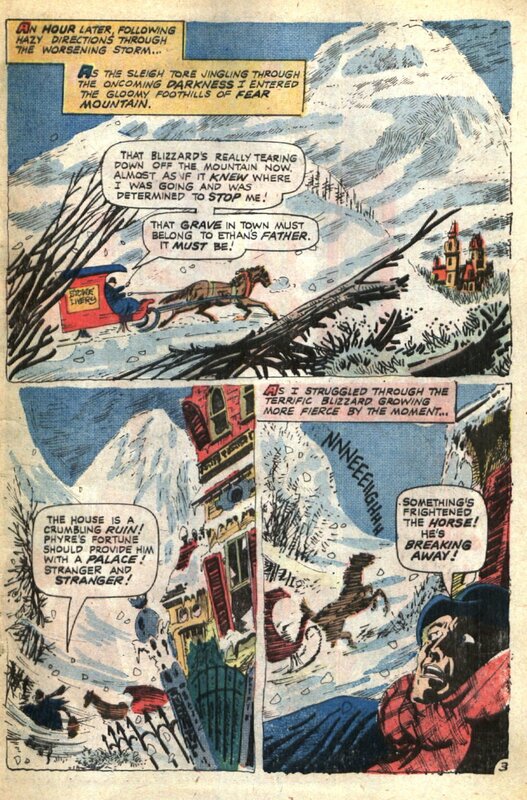 And here's the hastily assembled replacement page, put together in an afternoon by Archie & Jazzy John. 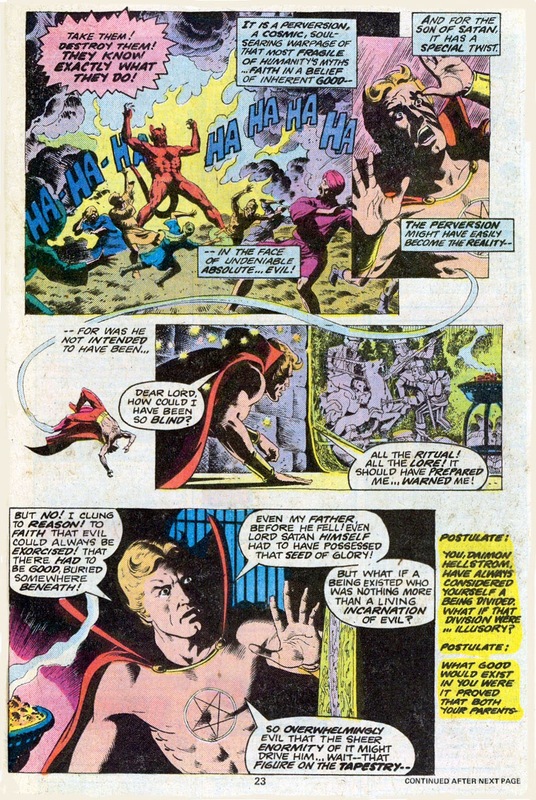 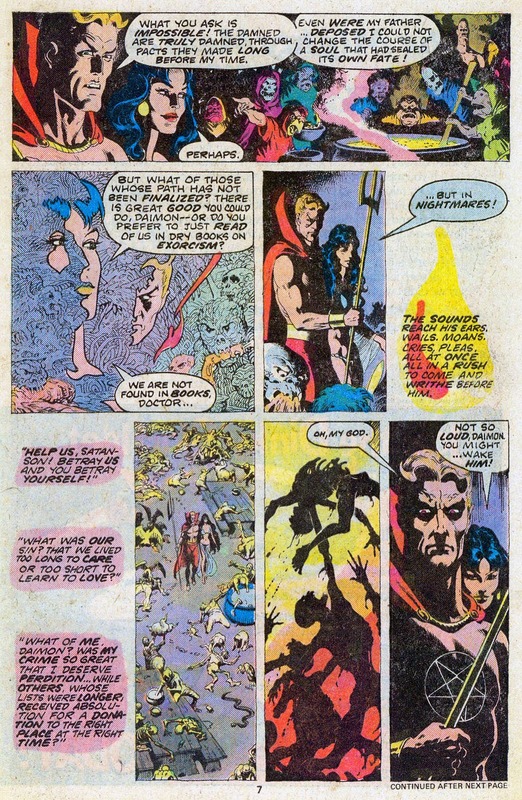 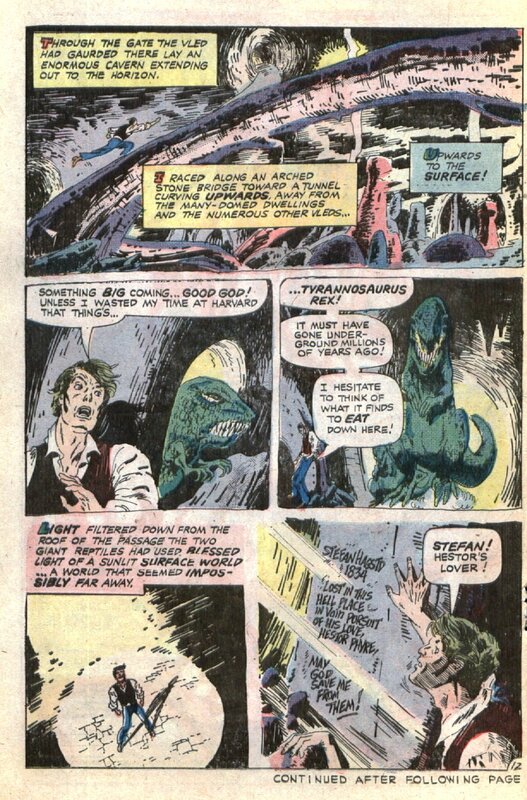 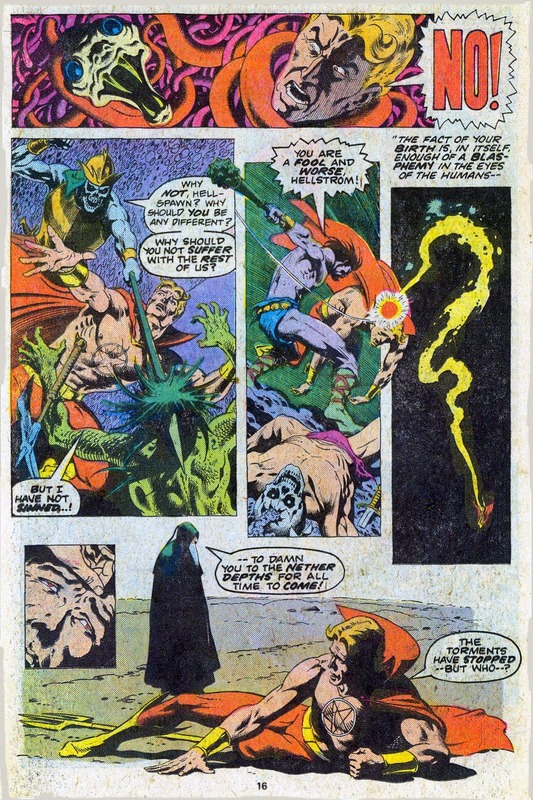 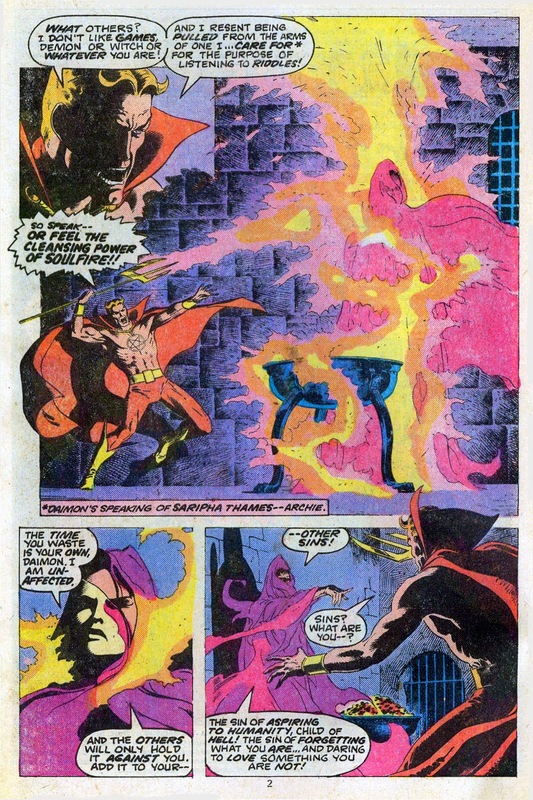 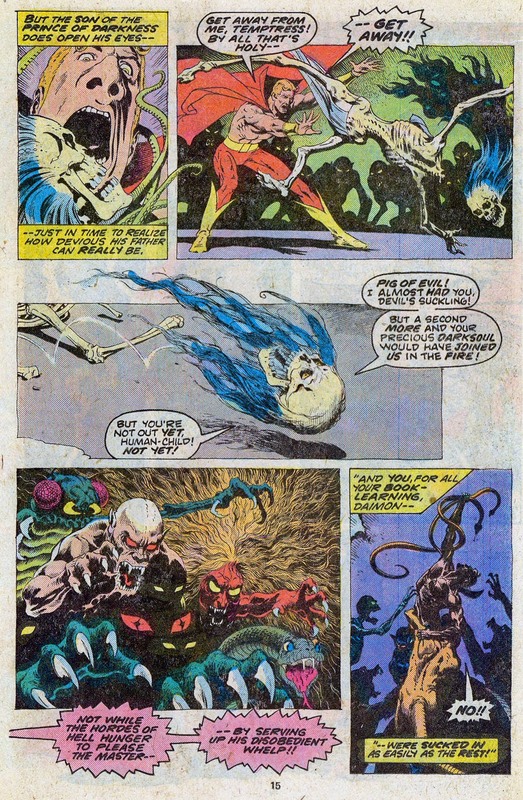 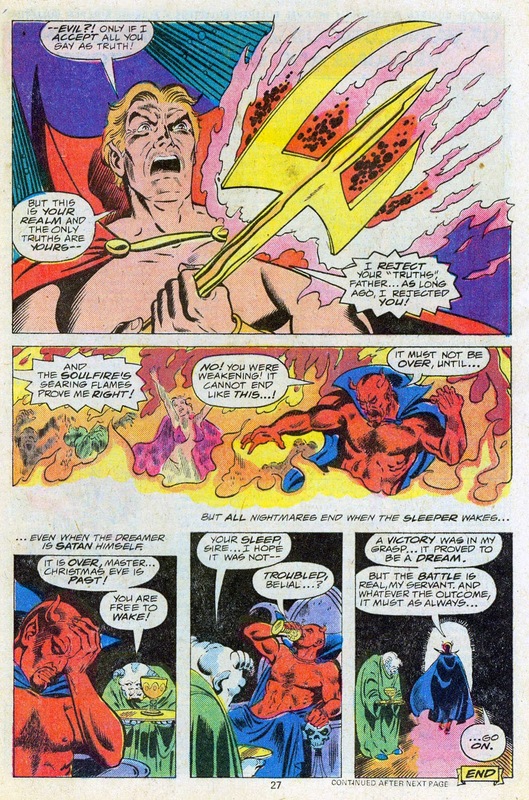 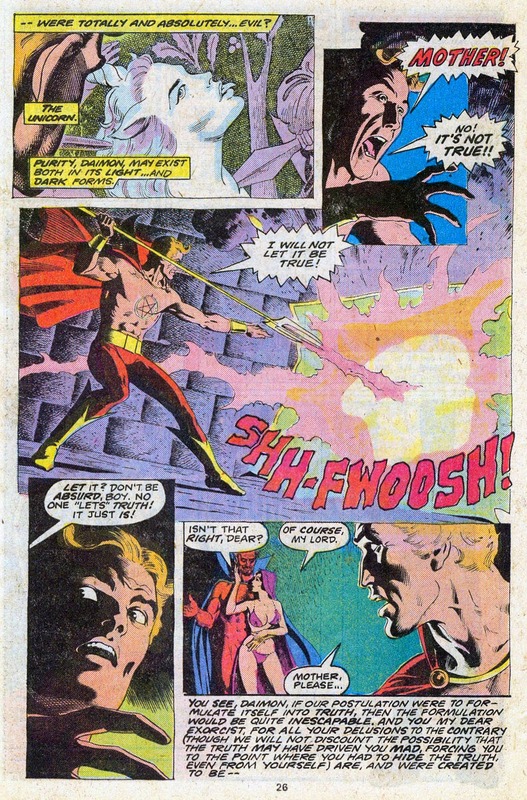 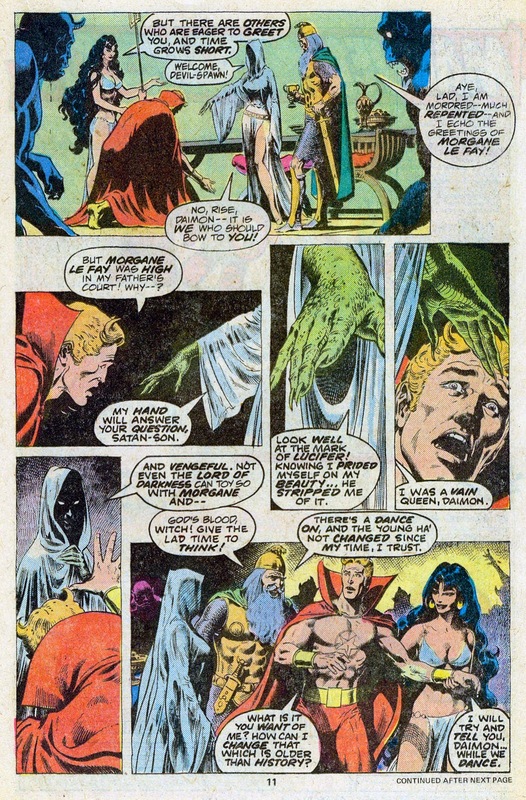 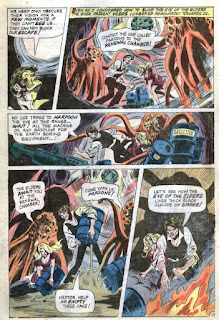 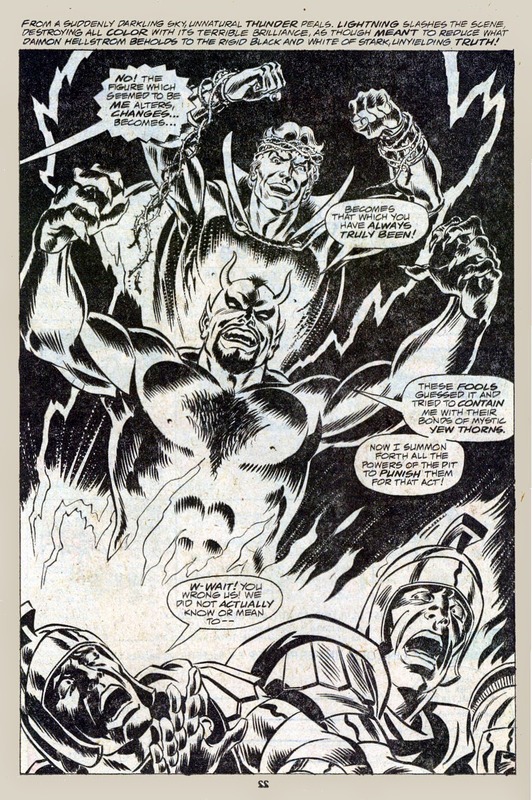 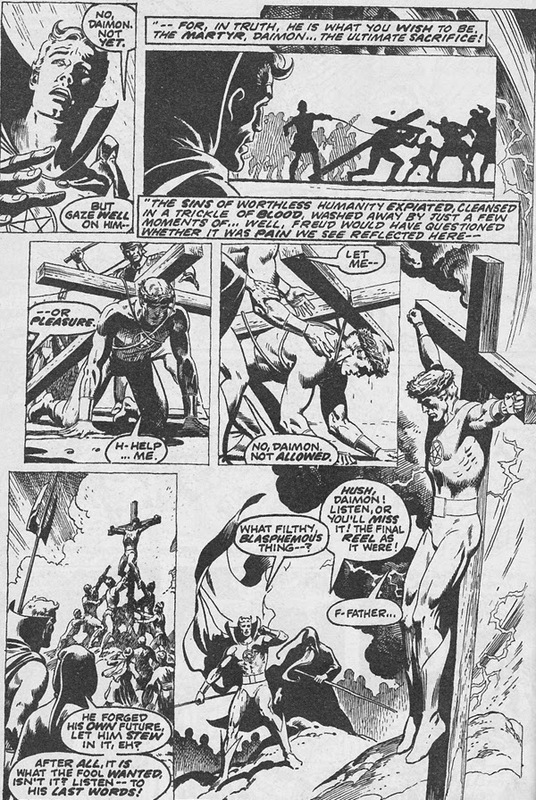 That last page looks out of place too, looking a bit like Herb Trimpe inked by Al Milgrom, maybe. 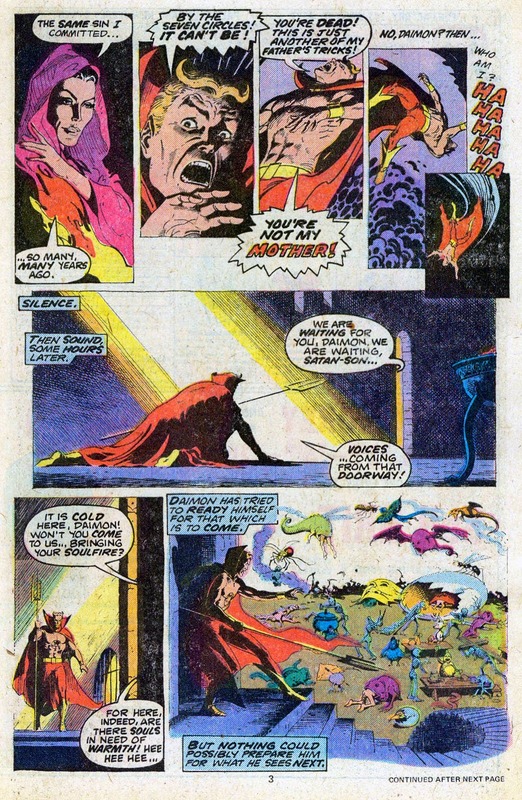 Was there another rejected page there?